^ 2.0 2.1 Catalogue of Life: 2007 Annual checklist - Conifer database 互联网档案馆的存檔，存档日期2009-01-15. ^ Lott, J., Liu, J., Pennell, K., Lesage, A., & West, M. (2002, September). 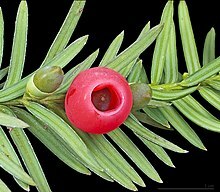 Iron-rich particles and globoids in embryos of seeds from phyla Coniferophyta, Cycadophyta, Gnetophyta, and Ginkgophyta: characteristics of early seed plants. Canadian Journal of Botany, 80(9), 954-961. Retrieved July 17, 2009, from Academic Search Premier database. ^ 5.0 5.1 5.2 Henry, R.J.(2005) Plant Diversity and evolution. London: CABI. ^ Vidakovic, Mirko. 1991. 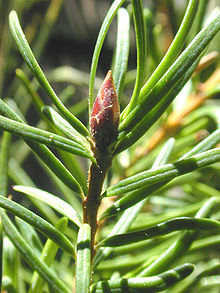 Conifers: morphology and variation. Translated from Croatian by Maja Soljan. Croatia: Graficki Zavod Hrvatske. 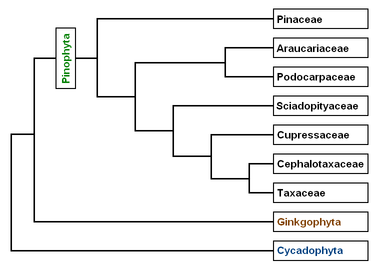 List of all Pinophyta species from Conifer Database by A Farjon in the 2008 Catalogue of Life.